I recently picked up a Synology DiskStation DS1515+ for some network attached storage and wanted to install CrashPlan, my choice of online backup software on the NAS for constant backups. There are some great instructions out there from Scott Hanselman that uses the installers created by PC Load Letter. Hanselman’s writeup is spot on, the only issue I had was between step 3. ADD THE JAVA MANAGER and step 4. INSTALL THE CRASHPLAN PACKAGE ON YOUR SYNOLOGY. STOP IT AND RESTART IT. 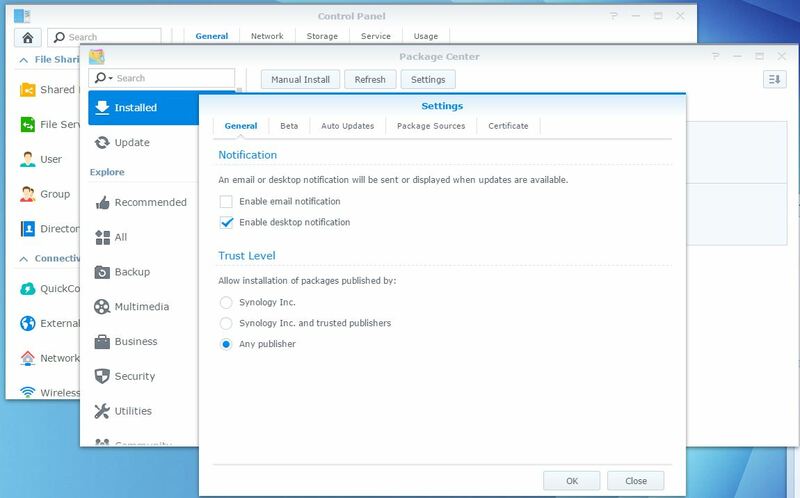 I had to update the Trust Level to allow installation of packages from other than Synology Inc. to be installed. To get to where you can change the trust level, open Package Center > click Settings then change the Trust Level to Any publisher. After making that change, I was able to install CrashPlan without any further issues. Another thing to probably note is that you can only run Java 7 on the Synology DiskStations as of right now… I believe the latest, at the time of writing, is version 7u79 (jdk-7u79-linux-i586.tar.gz, http://www.oracle.com/technetwork/java/javase/downloads/jdk7-downloads-1880260.html) and this is supposedly the last release of version 7 that will be done… If you try to install version 8 it wont install. So just grab the latest version 7 for now. 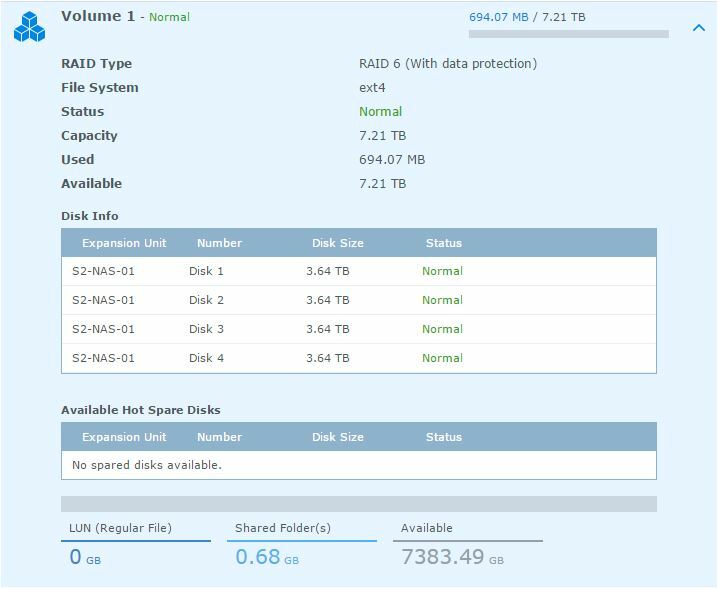 Thus far, in setting up and using the Synology DiskStation, I’m nothing but happy… I have 4 x 4TB Western Digital Red drives (about 3.67 TB of available space per drive), configured in a RAID-6 array. That gives me 7.21TB of available space that I’m looking forward to filling up. If later down the road the CrashPlan application updates, the system will attempt to do updates manually. On my device, this caused some issues and it didn’t quite work. Fortunately chrisnelson.ca has a solution that worked. If you are getting these messages, follow the instructions on chrisnelson.ca to manually copy the update files to the correct locations. It’s a pretty easy 4-5 step process. Thank you to Scott Hanselman ( @shanselman), the folks at chrisnelson.ca and the folks at PC Load Letter for making this stuff so darn easy! Have any questions? Just let me know!